As of this writing, the Chinese version of Pangu is already available for download whereas the English version is expected to be released soon. According to Pangu site, the jailbreak will only work for 64-bit devices including: iPhone 6s Plus, iPhone 6s, iPhone 6 Plus, iPhone 6, iPhone 5s, iPhone SE iPad Air 2, iPad Air, iPad mini 4, iPad mini 3, iPad mini 2, iPad Pro iPod Touch 6G The new jailbreak doesnt require a PC as it can be done right from your iOS device, thanks to the new click-to-jailbreak app made by team. Additionally, the jailbreak can be removed from your device at any time by simply rebooting it. 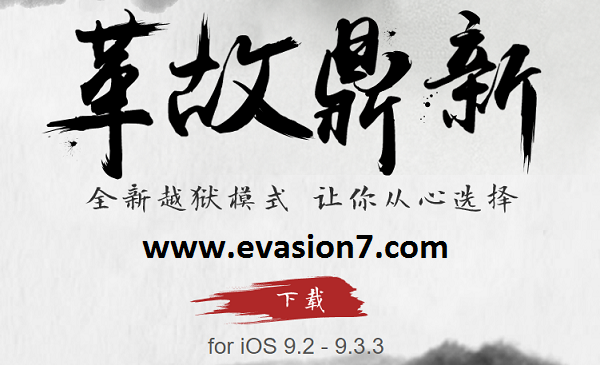 To re-jailbreak, you'll have to use the app again. You can install Pangu jailbreak app on your device using 25PP. We will post a guide soon on how to jailbreak iOS 9.2 - iOS 9.3.3 on iPhone, iPad and iPod Touch using Pangu and 25PP. Meanwhile, make sure to backup all the data on your iOS device using iTunes or iCloud in case something goes wrong during the jailbreak process. Just a few weeks ago, the team behind Pangu demoed a working jailbreak for iOS 10 with a screen-cast of Cydia running on the device. They also stated a jailbreak for iOS 9.3.2 will be coming soon and today's jailbreak release by the team fulfills the promise.